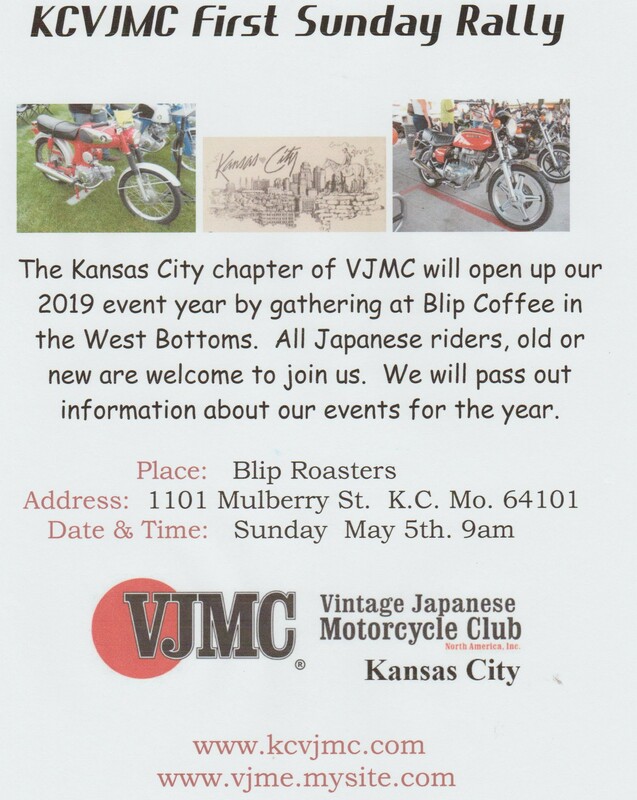 Blip Coffee is a great hang out for motorcyclists. 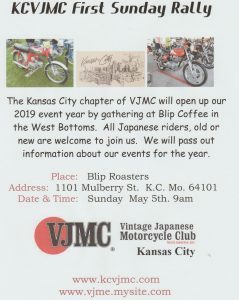 KCVJMC will meet there and put on a show of vintage Japanese Motorcycles. Get there by 9am for the fun.